Photo by CACorrections, via Wikimedia Commons. The American arm of German drug manufacturer Fresenius Kabi has filed a lawsuit that could stop Nebraska’s first lethal injection. CNN, the Lincoln Journal Star and the Washington Post have the story. Two of the four drugs slated to be used in the execution, cisatracurium besylate and potassium chloride, are made by Fresenius Kabi, according to the complaint filed Aug. 7 in the U.S. District Court for the District of Nebraska. According to the complaint, the company is the only manufacturer of potassium chloride in 30 milliliter vials. The Nebraska Department of Correctional Services has 25 vials of potassium chloride, according to documents obtained through separate public records litigation. If these drugs were in fact made by the company, then the agency could have only obtained them “through improper or illegal means,” alleges the complaint. The company has distribution controls in place to make sure that its drugs were not used in executions. The complaint asked for preliminary and permanent injunctions against their drugs being used in executions. Failing to do so, the complaint said, will cause the company “great reputational injury” and harm business and investor relationshps. As of Thursday afternoon, the defendants had not filed a response. “Nebraska’s lethal injection drugs were purchased lawfully and pursuant to the state of Nebraska’s duty to carry out lawful capital sentences,” the state attorney general’s office said in a statement, according to the Guardian. A similar lawsuit was filed in Nevada last month by American drug maker Alvogen, which temporarily stopped an execution. In a letter dated Dec. 16, 2016, Fresenius Kabi President and CEO John Ducker wrote to the Nebraska Department of Correctional Services asking that their drugs not be used in the state’s executions. Inclusion of their drugs in a lethal injection “would be an improper use of these products, which are intended to save lives, and could have far-reaching negative consequences on public health due to European Union regulation 1252/2011, which prevents trade in products that could be used for capital punishment or torture,” he wrote. The EU does not permit capital punishment. By 2017, 142 of the world’s countries “had abolished the death penalty in law or practice”, according to Amnesty International. The United States is the only country in the Americas to currently carry out executions, which are at historically low numbers. Carey Dean Moore, the death row inmate at the center of this suit, was found guilty of killing two cabdrivers in Omaha in 1978. He is no longer trying to stop his execution, according to the Journal Star, and is currently scheduled for death at 10 a.m. Aug. 14. Nebraska’s last public execution took place in 1997. Since then, Nebraska’s capital punishment law has been at the center of a heated, statewide debate. In 2008, the state supreme court found death by electrocution to be cruel and unusual and ended the practice. Subsequently, the governor at that time, David Heineman, signed a bill that replaced the electric chair with lethal injection. In 2011, Moore was set for execution, however, unable to buy the appropriate drugs stateside, Nebraska struggled to legally procure the chemical cocktail needed to execute him. While the state finally attained the appropriate drugs from overseas, legal and political fights lasted longer than the drugs’ expiration dates, and the execution was postponed. 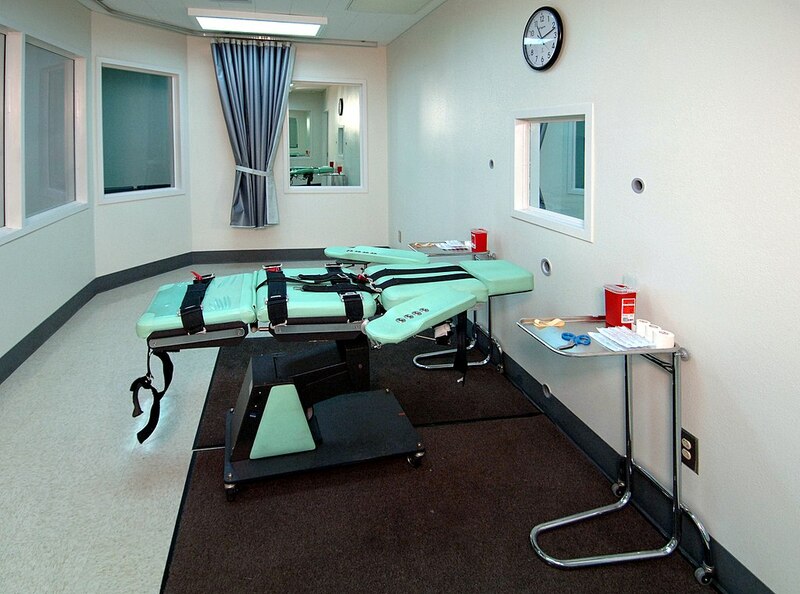 In 2015, the state’s unicameral legislature voted to repeal the death penalty. The attempt was vetoed by Gov. Pete Ricketts, which the legislature overrode. In 2016, a referendum was placed on the state ballot to overturn the legislature’s abolition of the death penalty, which passed with 61 percent support, according to the New York Times. A hearing on the company’s motion for a temporary restraining order is scheduled for 3 p.m. Friday at the U.S. District Court in Lincoln. Senior U.S. District Judge Richard G. Kopf was assigned to hear the case.